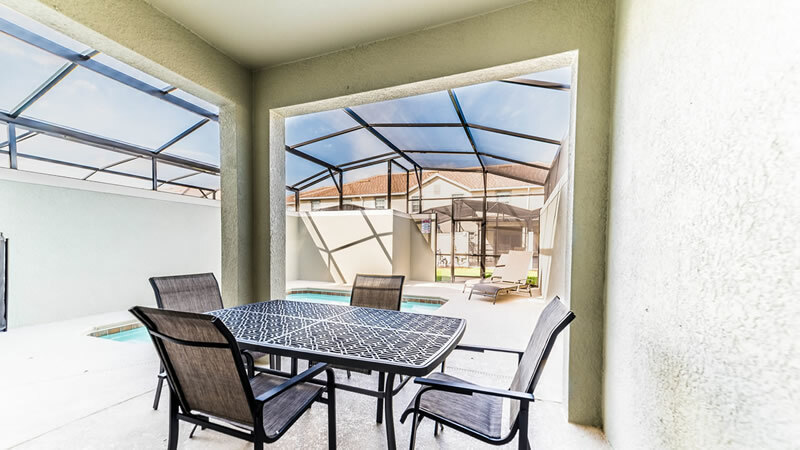 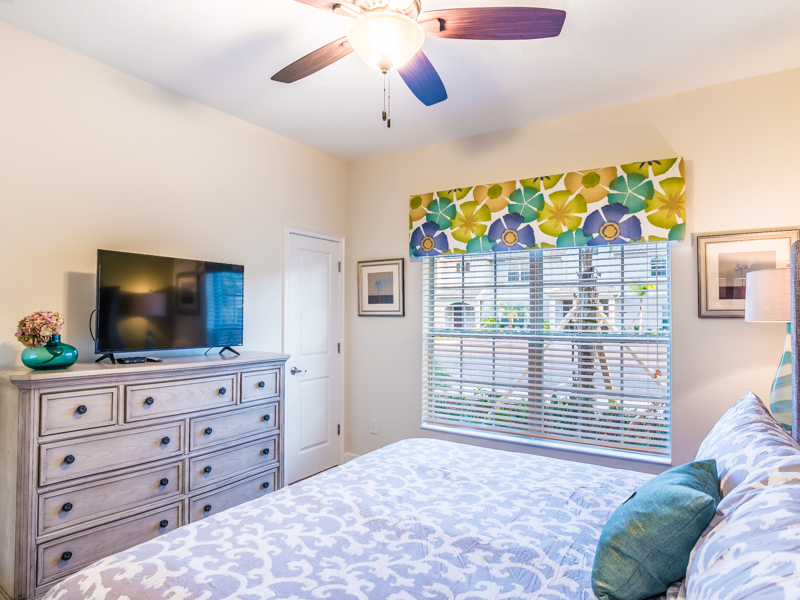 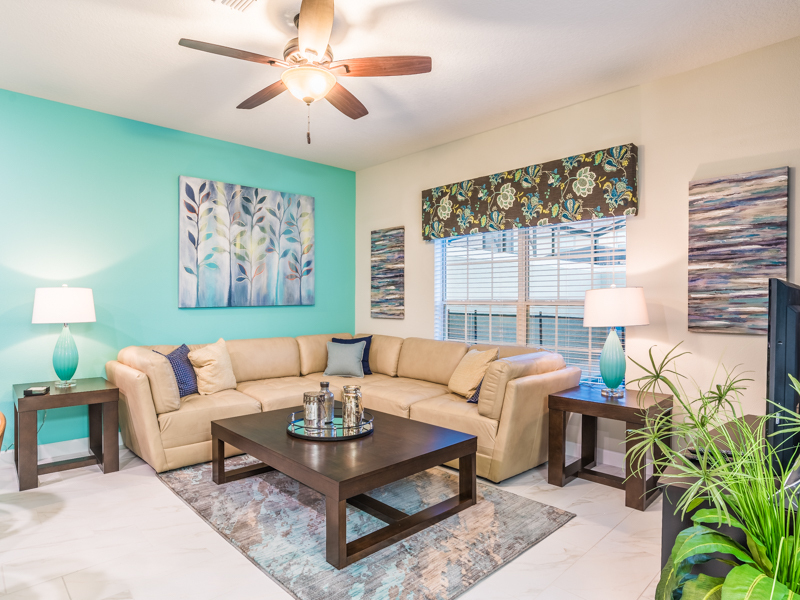 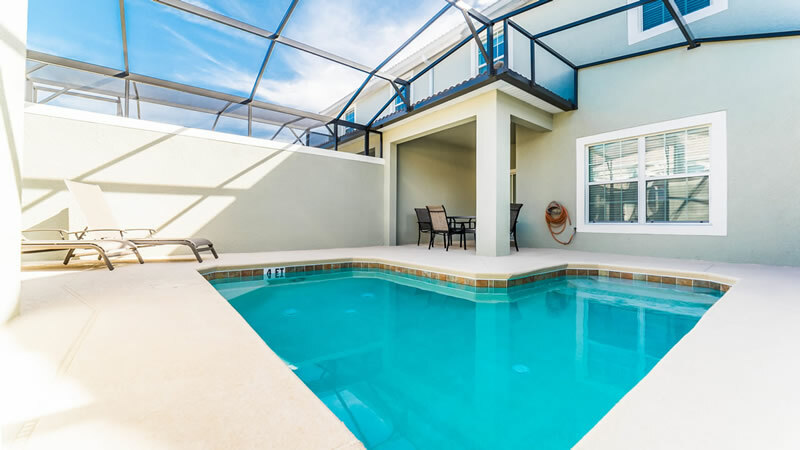 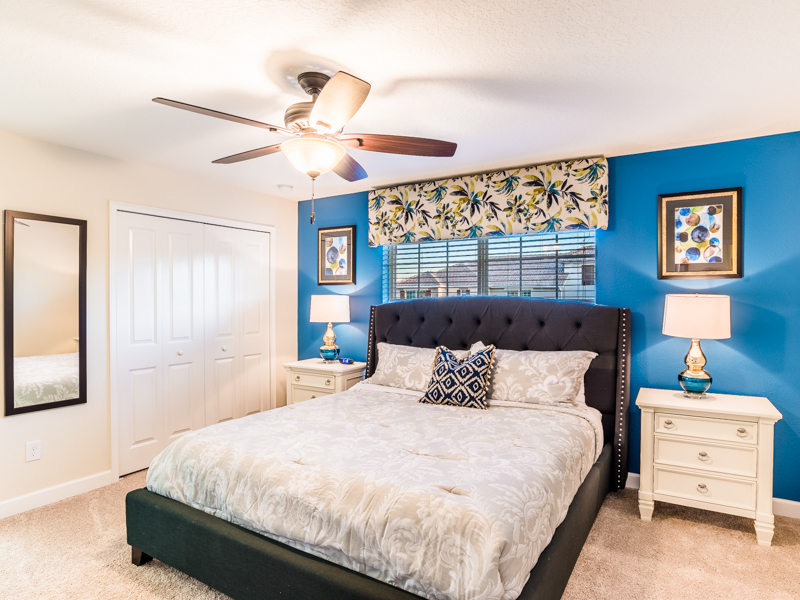 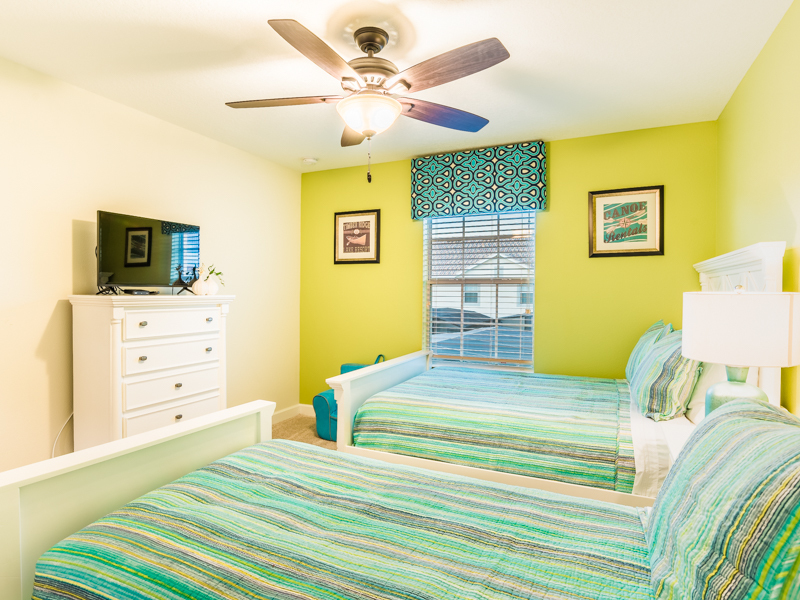 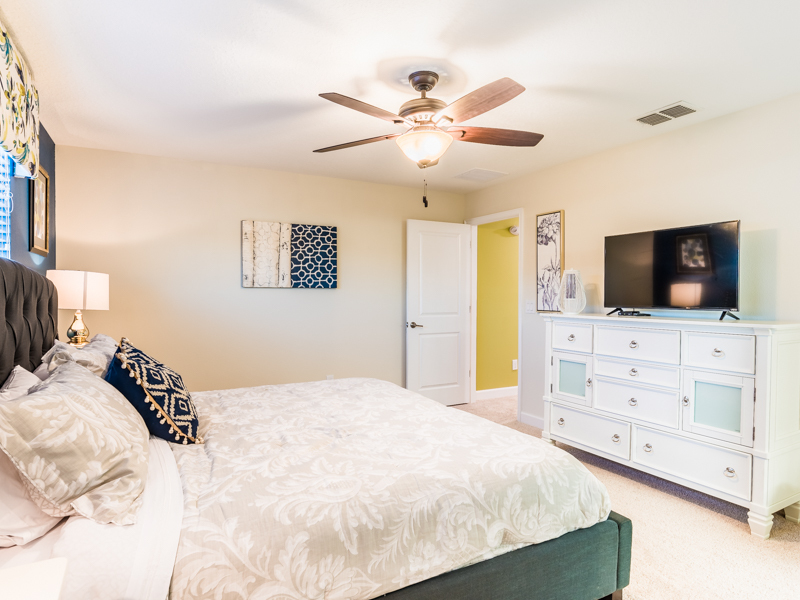 As you plan your next trip to the sunshine state, this gorgeous 4 bedroom, 3 bathroom vacation rental, located in Storey Lake Resort, will ensure you have an amazing vacation. 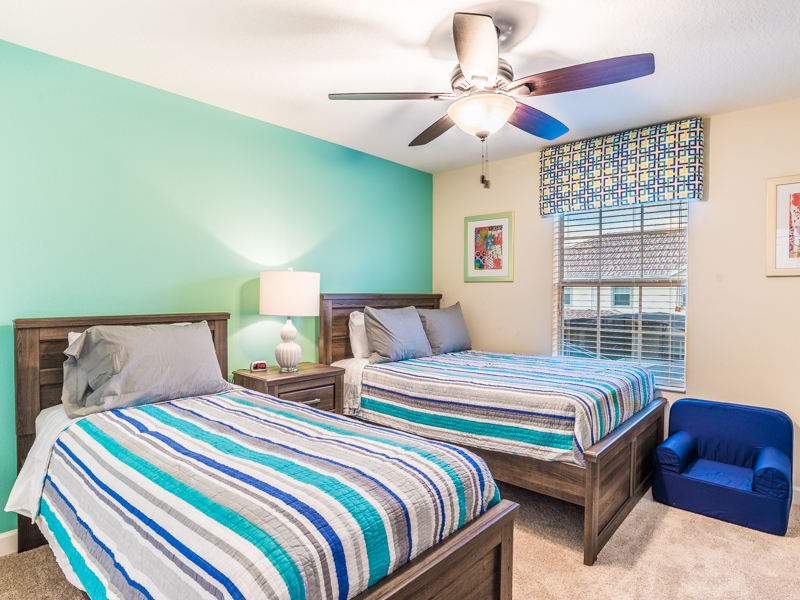 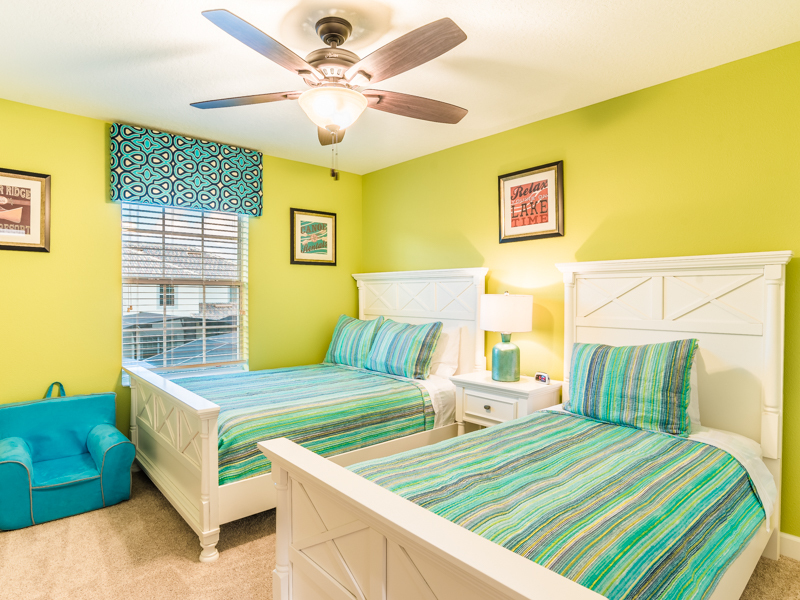 The bedrooms consist of 2-king bedrooms and 2 bedrooms with a twin and double bed sleeping a total of 8. 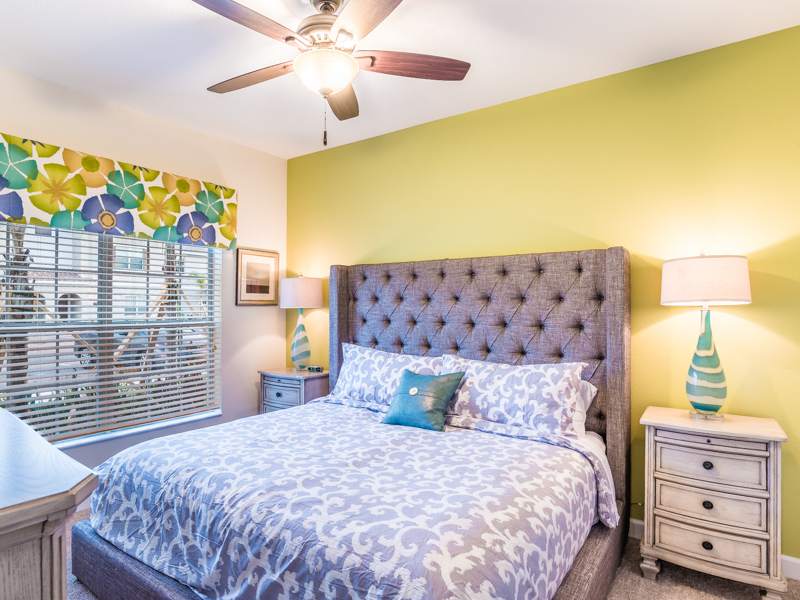 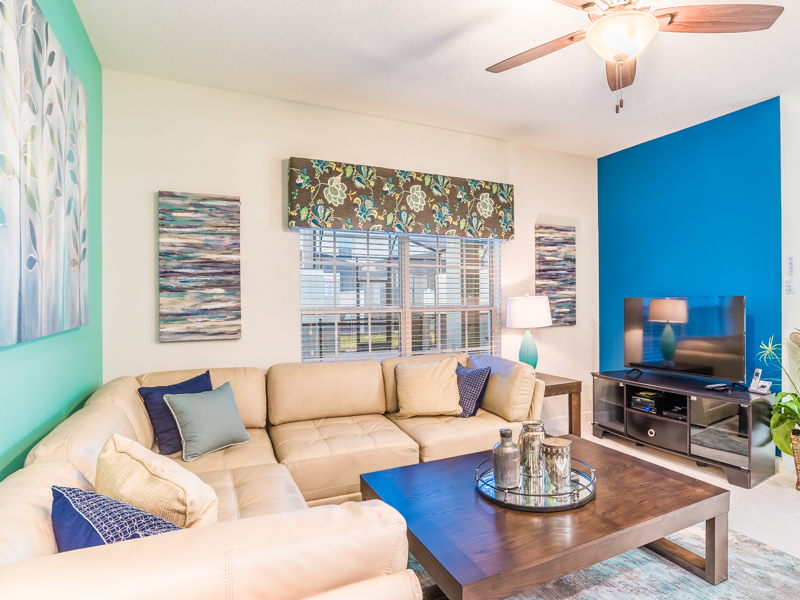 Besides being professionally decorated throughout, this home includes a 50-inch flat screen and a Blu ray DVD player. 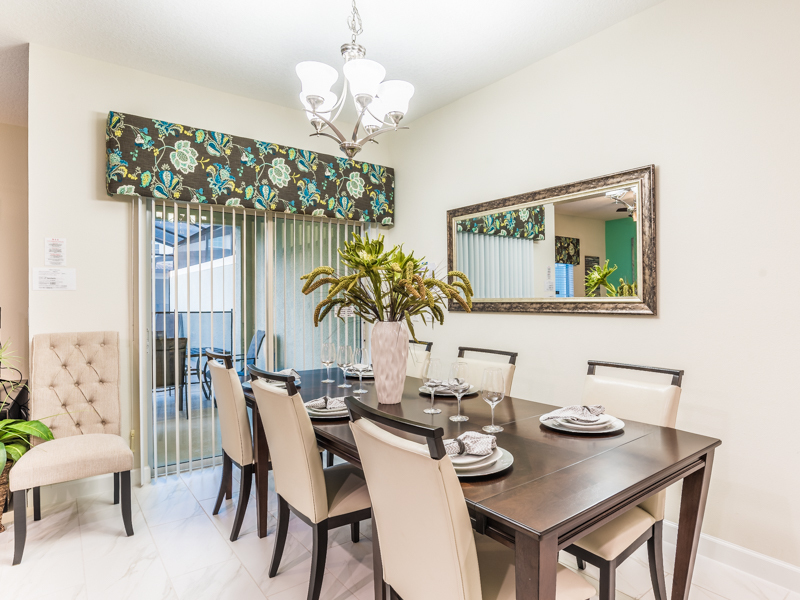 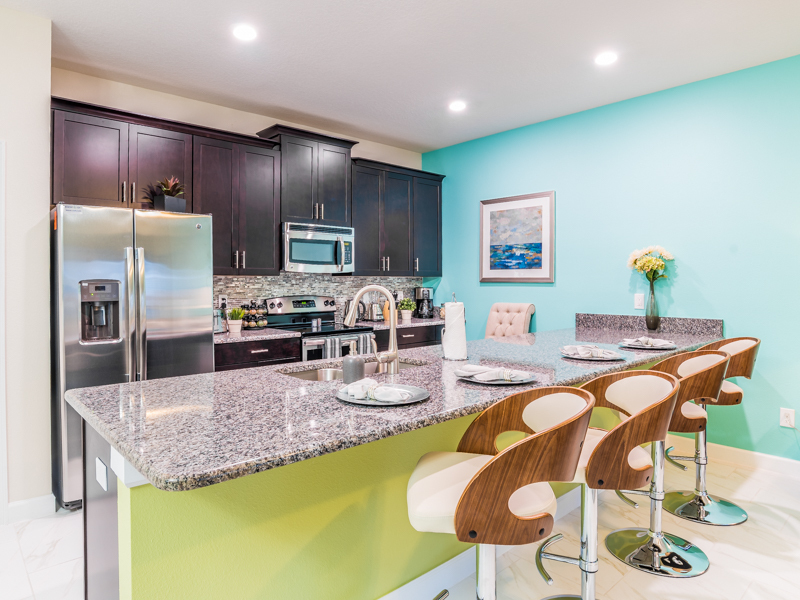 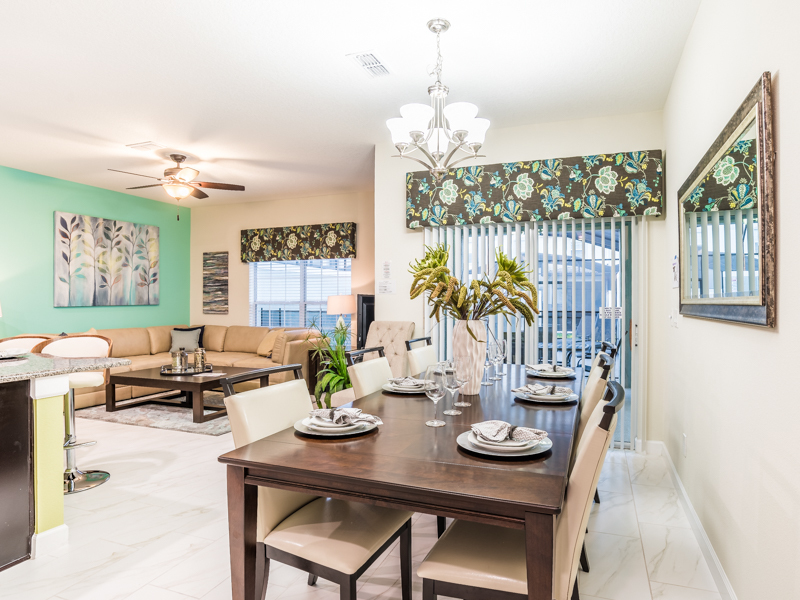 There is plenty of seating, both at the dining room and the kitchen bar – perfect for sharing meals together. 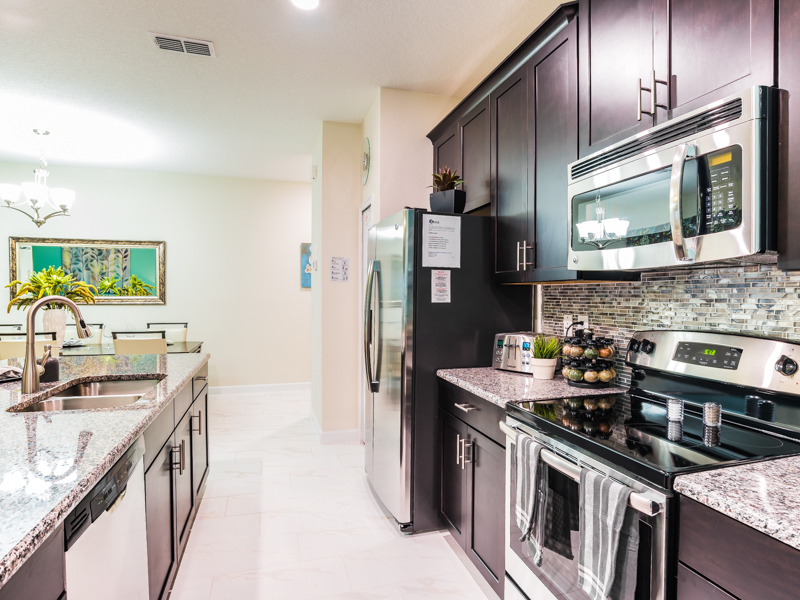 Speaking of meals, the kitchen is stunning, with upgraded cabinetry and tile along with stainless steel appliances and granite counter tops. 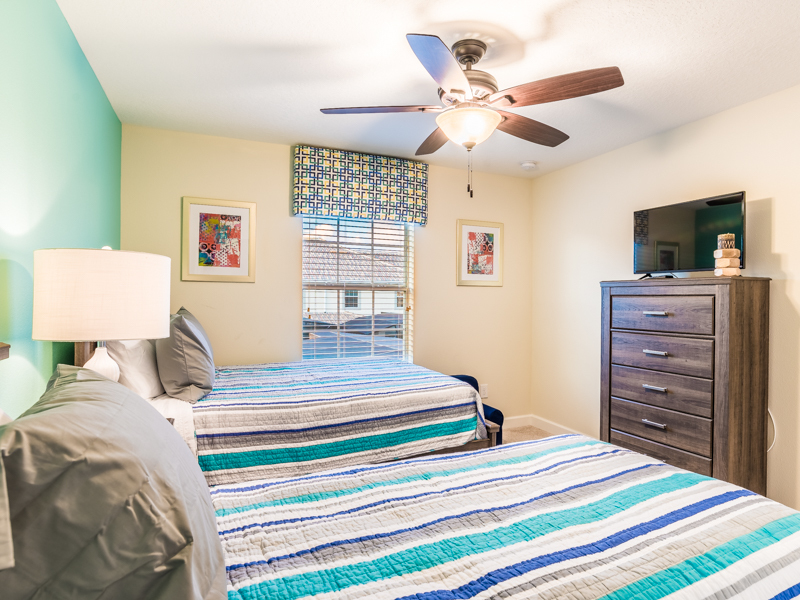 There is also FREE WIFI and a washer and dryer for your convenience.